Pfc. 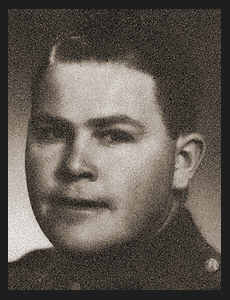 Earl B. Ellis, son of Mrs. Florence Ellis, graduated from Weaver High School; husband of the former Mary Alice Gover. Entered the Air Corps in Sept., 1942, trained in Lubbock, Texas; served in Hawaii, Tinian, and Guam. Awarded Asiatic Pacific Ribbon.